The Flagship Events Company is a premium hire company established by brothers in-law Patch Reynolds and Ted Thorp. With bases in Hawkes Bay, Central Otago and soon to be Auckland, Flagship provides high quality event hire nationwide. Flagship has a passion for stylish, sophisticated weddings and events. This is one of the many reasons why we have teamed up with the amazing craftsmen at Sperry Tents from Massachusetts USA. Our shared philosophy and attention to detail resulted in us gaining the exclusive rights to the iconic Sperry tents in New Zealand. Experience the exclusive difference today. 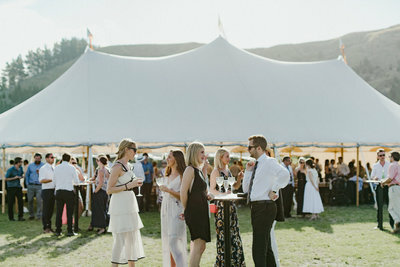 The Boston Round is a very popular tent for anything from an afternoon garden party to a spectacular corporate event to an intimate wedding. Its soaring canopy makes it feel like it is higher than it is wide. Being within the perimeter of its beautiful Spruce timber outer poles gives you a feeling of being cocooned inside a very special place anticipating a very special event. It comes with a complete set of side walls that can be zipped shut or rolled up out of view. Prices vary depending on high and low seasons. High season runs from November 1st – April 30th and Low season runs from May 1st – October 31st, please enquire. Please note a council consent is required for all events. It is up to the client to obtain this unless arranged prior with Flagship Events. This will incur an additional fee to this quote. 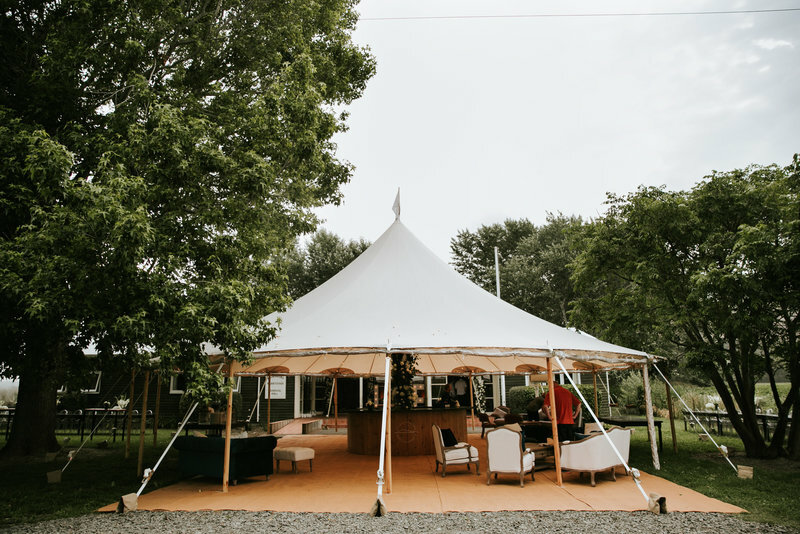 Flagship Events exclusively uses Sperry Tents made by the Sperry Family in Massachusetts USA. 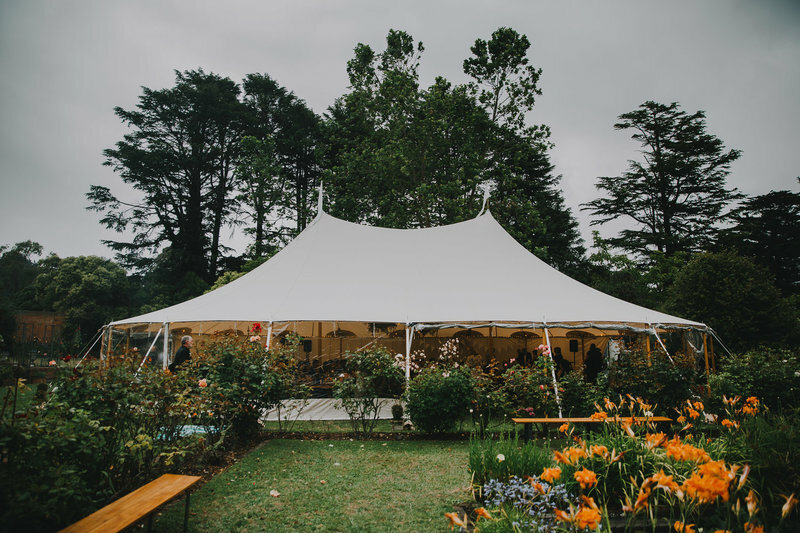 The Manhattan tent displays harmonious symmetry from the outset with two seven metre wooden spruce poles that stretch the ivory canopy and its seams effortlessly from one to the other. The circular ends of this tent create an oyster shaped interior which is the perfect space to host a medium sized wedding or event. It comes with a complete set of sidewalls that can be zipped shut or rolled up. The three long flags fluttering from the exterior tips of the Cape Cod, suggest for miles around, that something special is about to happen beneath that canopy. The Cape Cod is beautifully balanced and proportioned combining the elegance of the Gatsby era with a classic simplicity that requires the simplest of finishing touches to create an unforgettable event. Just three spectacular Spruce timber centre poles are all the support the Cape Cod requires on the inside creating a beautiful voluminous space that allows for infinite layout and design options with great sightlines. The tent comes with a complete set of sidewalls that can be zipped shut or rolled up.